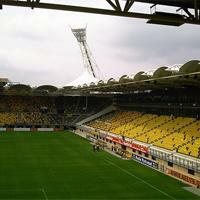 The Aachen-based third league club is insolvent and cannot afford to play at its brand new stadium. 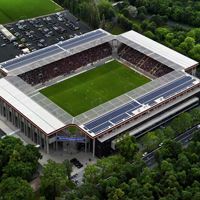 There seems to be no realistic alternative in nearby German towns, so the club will move to Dutch Kerkrade for next season, ad.nl informs. 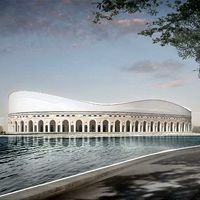 The municipality and Spanish contractors agreed for a later delivery date. First two stands of the new stadium are to be ready by the end of June, though they were due… last week. Gazeta.pl reports. 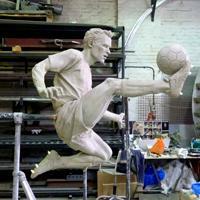 Due to be revealed this summer, Dennis Bergkamp’s monument was already presented to the public. Club legend is to be remembered as he controls the ball in the air. They waited long years, saw many various concepts, but this time it seems to be coming true at last. 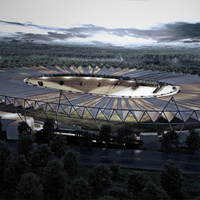 In mid-2013 work is to begin at cult Inönü, where a completely new stadium is to be built. And though new, this one is to pay tribute to the place’s past. “The most beautiful soundbox of France experienced a few vibrations. 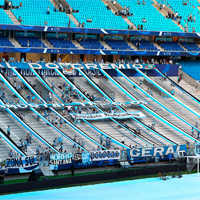 But in the English style of Arsenal, without a tifo upon players’ entrance or continuity in the chants”. 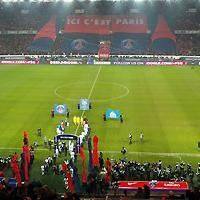 This is how Olympique Marseille describes the – according to them – poor atmosphere of French ‘Clasico’. 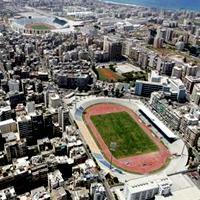 26.02.2013 Lebanon: New stadium for Beirut? That’s the promise, but it’s one awaiting fruition for some time already. 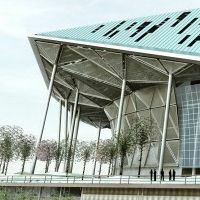 And more, it would come at the cost of existing Beirut Municipal Stadium, which is surprisingly popular as a leisure spot for local residents. 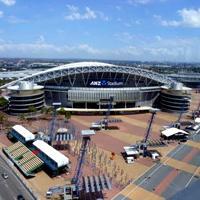 25.02.2013 Sydney: Retractable roof and mobile stands for ANZ Stadium? 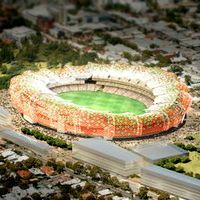 Initial budget and detailed plans have been revealed for the redevelopment of Sydney 2000 Olympics venue. 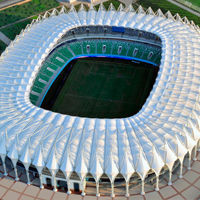 Transparent roof over the pitch and moving stands are to put it among world’s most modern venues, news.com.au reports. He’s just 17 and claims he cannot live with what he did. Young supporter of Corinthians admitted it was him setting off the signal flare that killed 14yo Kevin Beltran in Bolivian Oruro, Xinhua reports. To be completely honest, we thought we had a winner before the vote even started. 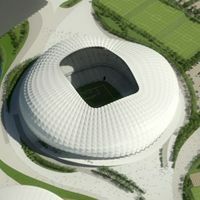 But in the end it turned out Polish national stadium got passed by quite a few votes. Even Polish voters didn’t give it the advantage we expected. Among most popular Nominees from first to last day of the vote, placed in top 5 by readers from all countries. Is 3rd place high or low? Surely a well-deserved podium spot! 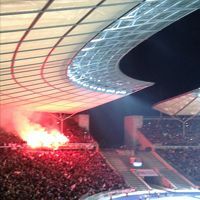 24.02.2013 Munich: Bayern president supporting pyrotechnics? 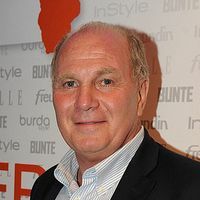 Uli Hoeneß is known Rather from critical statements towards supporters. This made his recent quote a surprising one. 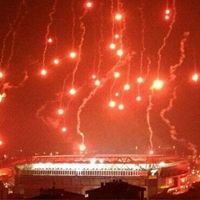 Bayern president announced he would support flares inside Allianz Arena, if there is a safety concept. 24.02.2013 Stadium of the Year 2012: Vote closed, thank you! 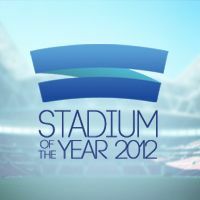 Exactly at midnight (CET) we stopped counting your votes in this year’s edition of ‘Stadium of the Year’. We knew a few days ago that you broke the all-time attendance record, for which we’re very grateful! And in 20 hours the winner will be known. 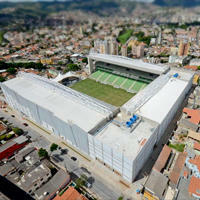 Does this one remind you of Poznan’s Euro 2012 stadium? It sure should, because it’s the same office on the job. 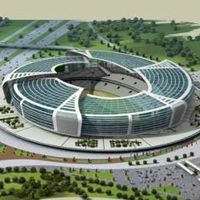 Polish MCS and Algerian Concept Design have just been selected as best bidders to design massive sports complex in Constantine, Algeria. 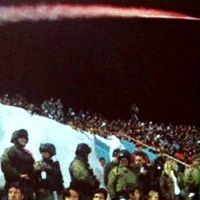 Shocking incident took place on Wednesday night in Bolivian Oruro, where local San Jose were facing Brazilian Corinthians. 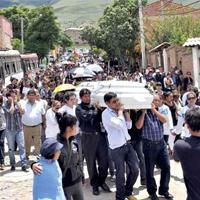 A ginal flare rocket was launched from the away section and hit a 14-year-old boy in the face, causing his death. Police arrested 12 people so far. 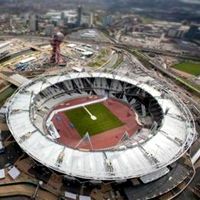 After years of stagnation it may turn out that the redeveloped national stadium will be only the first step of what is called the ‘sporting village’, BBC reports. Works may start this year. 21.02.2013 Nuremberg: 1. 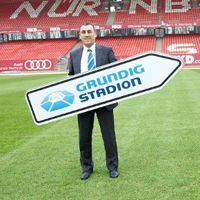 FC Nürnberg to build a new stadium? 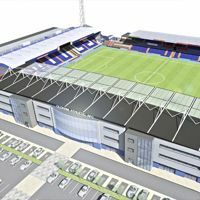 Is this a realistic plan or just a way to say that the club isn’t happy with current lease terms? 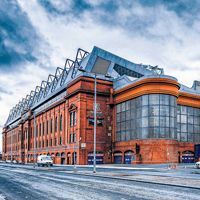 Time will tell, but so far sports director claims the club will run a feasibility study, whether a redevelopment or construction from scratch would be better. 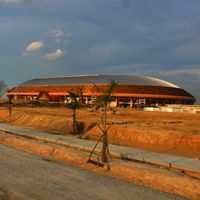 We’re not going to tell you it’s the best one, but we’re pretty sure there is room for a different view on sport stadiums, especially in countries that have a different sport reality. 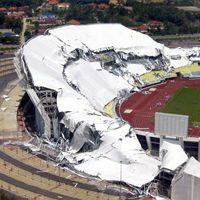 20.02.2013 Malaysia: Roof over Terengganu stadium collapsed again! Works have barely restarted after catastrophe from 2009 and we have a second one. 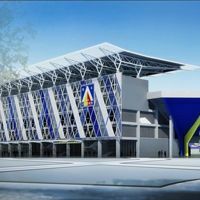 No roof is left over the Sultan Mizan Zainal Abidin Stadium, while 5 people were slightly injured in the accident. 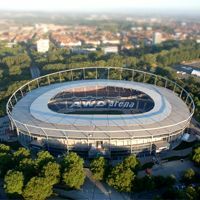 New naming rights deal for Frankenstadion is a relief after much hated “easyCredit Stadion”, but for some fans no sponsor should take the name. They’ve been fighting for several years and aren’t stopping now, saying this deal only makes them stronger. 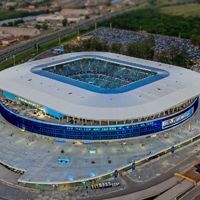 The club announced signing of naming rights deal with financial firm Otkritie. 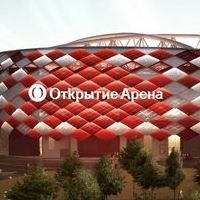 The lucrative agreement is to bring Spartak €30 million over the period of 6 years. 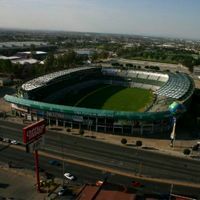 Since the redevelopment started in 2006, no game saw crowd as big as yesterday. According to the club, Monday game against Cologne has every single seat taken. 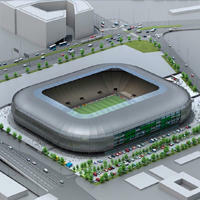 19.02.2013 Euro 2020: Brno to bid for Czech Republic? Detailed project is ready, but the city couldn’t secure sufficient funding on its own. 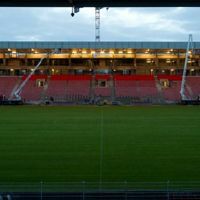 Euro 2020 gives a chance for central budget support as this is the only venue throughout the country that might host the Europe-wide tournament, Brněnský deník reports. Work stopped for one day yesterday and will be halted further if authorities don’t meet the demands of workers on site. They expect better working conditions. Will authorities agree in race against time? 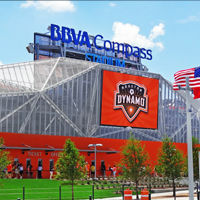 LLDC and West Ham were thought to sign their 99-lease deal today, but despite rumors of an agreement, it’s not happening yet again. Will March be luckier? 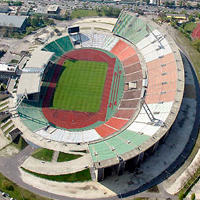 18.02.2013 Italy: Cagliari’s stadium to be demolished? 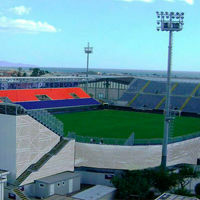 According to La Nuovo Sardegna, the Stadio Is Arenas could be torn down as it is an illegal structure that should not have been given planning permission given its close proximity to the Montelargius wetlands. 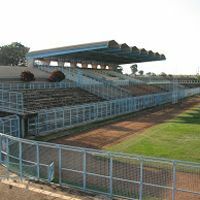 Before a crucial tie in Malawian top flight soldiers were deployed at Silver Stadium in capital Lilongwe. Their task was to prevent people from placing amulets that they believe might influence the outcome. Nyasa Times report. 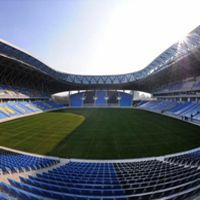 Probably one of the least favorite stadiums on the list, but that’s a compliment for stiff competition rather than affront for Rotherham United’s new venue. Especially that taking United’s needs, we think it’s really sufficient. 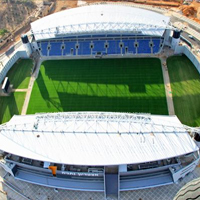 If we were to name a typical Israeli stadium, we’d go for this one. Not because it’s that much like others, but it’s got the characteristics and fits there more than anywhere else. 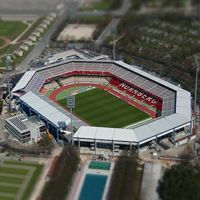 Electronic company Grundig acquired naming rights for the Nuremberg-based Frankenstadion yesterday. The deal lasting until 2017 is worth over €3 million – DPA reports. 15.02.2013 Perth: Giant stadium relocated yet again? 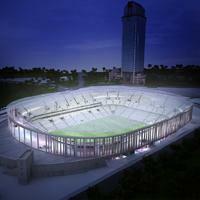 Despite the concept being drawn back in 2007, one more turnabout may come in the Perth stadium saga. Relocation to a site planned previously is yet again brought up. 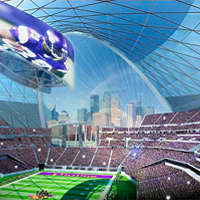 Will the city get its stadium by 2018? – WAtoday.com.au asks. 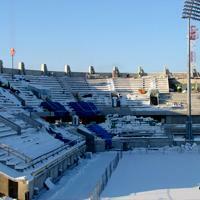 15.02.2013 Warsaw: Events at Stadion Narodowy potentially illegal? 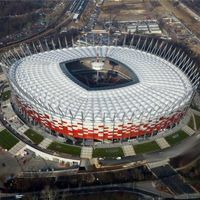 One of former contractors has filed a notice of potential crime being committed at Polish national stadium. 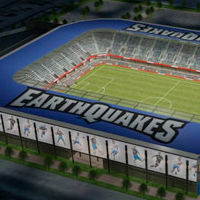 According to Alpine Construction the stadium hasn’t been safe ever since Euro 2012. 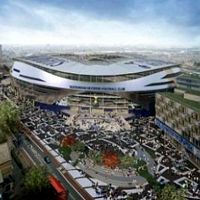 The Spurs stadium project moved a step forward after Haringey Borough Council agreed to buy land for the Northumberland Park project. Now residents will not be able to file legal challenges over ‘right to light’. 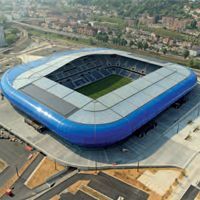 In a morning raid of police forces mayor and president of Cagliari Calcio were arrested along with public works manager of the city of Quartu Sant’Elia. 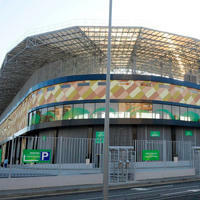 They were supposed to illegally finance the new stadium of Cagliari from public funds. 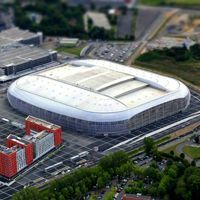 Despite not having all necessary funding sorted out yet, Olympique Lyonnais signed the contract with Vinci to deliver their new 61,000-capacity stadium within 30 months. This means yet another delay compared to initial plans. It’s been widely commented in Italy for a few days now, as Inter have met with authorities of San Donato district to discuss relocation. 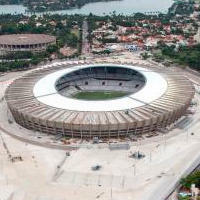 Their 60,000-capacity stadium might be ready in 2017, reports Il Giorno. 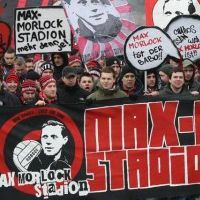 Union is growing, Hertha got weaker – this enables them to meet and decide superiority in Berlin. And if you see over 74,000 people in a 2nd league clash (with 25,000 being the away crowd! ), than it can only be Berlin, really. 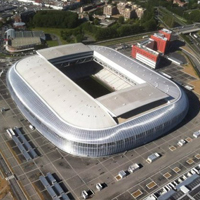 Largest French stadium opened since 1998 World Cup. 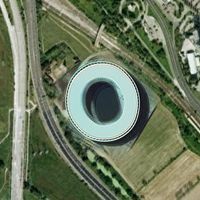 One of the most advanced venues ever, possibly with a technical breakthrough. Surely one of the most universal in years. Is this enough for you? 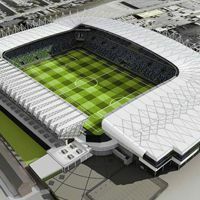 General contractor still needs to be selected, but if all goes as planned, groundbreaking works on new Flórián Albert stadium should start in mid-March. It's expected to be among the cheapest and still most modern in its class. It's been the dream for the last 5 years. 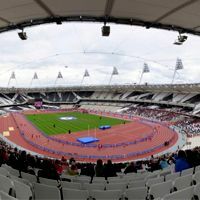 As enthusiasm weakened in recent months it's not certain the dream will be introduced in the shape it was hoped to be. 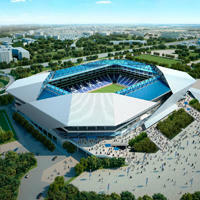 But nevertheless, it's hard to find a similar project done in Japan since the 2002 World Cup. 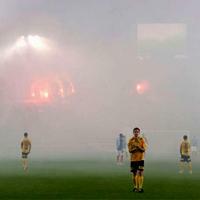 10.02.2013 Brussels: Obstacle for Anderlecht? 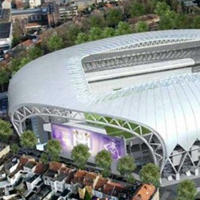 Municipal Consultation Committee of Brussels approved the plan of stadium expansion by Anderlecht. But only under strict conditions. These don't seem acceptable for the club, who now await mayor's stance. Its aesthetics are arguable, to put it gently. But surely it's instantly recognisable and works more than fine for regular league games, allowing supporters to create quite some atmosphere. And at the end of the day, this is what stadia should do best. 09.02.2013 Budapest: New giant screens just before building a new stadium? 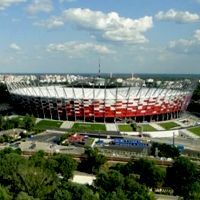 To some this comes as a surprise – tender has been launched to deliver 2 giant screens for the outdated Ferenc Puskas Stadium. 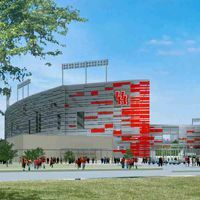 This comes despite plans of a new 65,000-seat stadium awaiting implementation, vg.hu reports. Our most exotic nomination ever, as Central Asia is still pretty much undiscovered in terms of football. 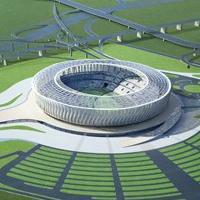 And of all the exotic stories there, one of Bunyodkor and their stadium clearly stands out. 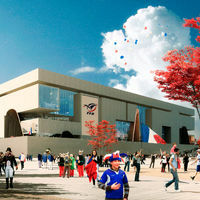 08.02.2013 France: Second national stadium project presented! 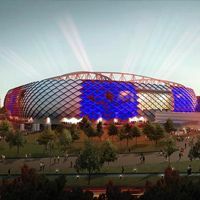 Today the French Rugby Federation (FFR) announced the designers and future shape of their 82,000-seat stadium in Ris-Orangis. 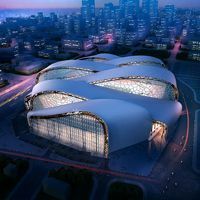 Of three finalists Populous were selected to carry out the design work. 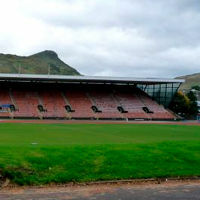 08.02.2013 Edinburgh: New stadium at Meadowbank? The future of Edinburgh's Meadowbank Stadium is hanging in the balance after the city council launched a consultation on the future of the sports centre, STV reports. 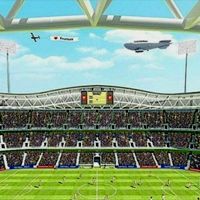 08.02.2013 Italy: Cagliari finally having a home stadium? 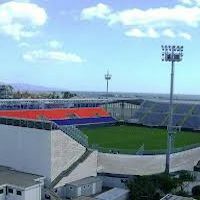 In what seems to be a breakthrough decision, court has overthrown Serie A's decision to relocate Cagliari's home fixture against Milan. 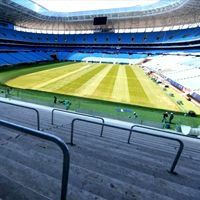 The high profile match can now be played in Is Arenas, where the club set up a temporary stadium. 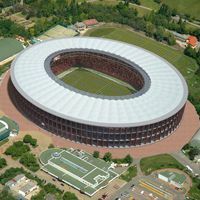 It's a real shame we won't see this stadium done for Euro 2016, but UEFA already made their selection. Besides, it won't be ready until 2017. 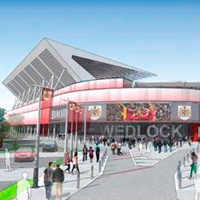 Still, this won't look like an 'early 1990s stadium' any more! 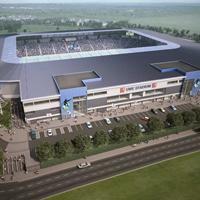 07.02.2013 England: Reading to expand Madejski Stadium by over 50%? 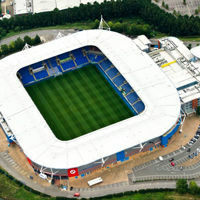 After their 4-year absence in the Premier League, Reading FC are again considering expansion of their home ground. 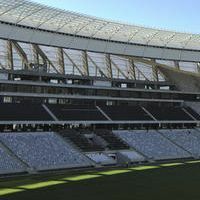 Possible increase may raise capacity to 38,000. But first the team needs to avoid relegation. BBC reports. This wasn't only possible, but almost certain to happen. 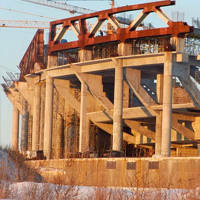 Criminal investigation for possible frauds or negligence at Zenit stadium's construction site was launched. 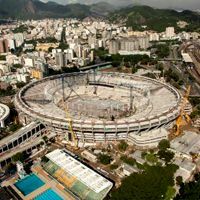 What's next for one of the most expensive stadia in history? 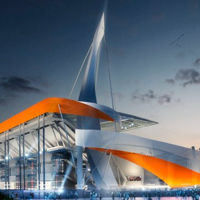 Rsport.ru reports. 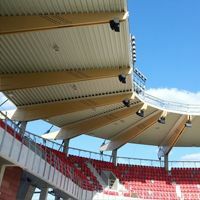 Though commenced over 15 years ago, the national sports centre has only received its central stadium so far. 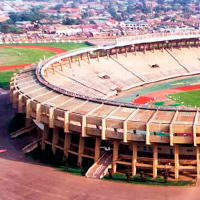 But as funding is available, surrounding infrastructure is to be built now, newvision.co.ug reports. Parking chaos, information chaos, technical flaws. 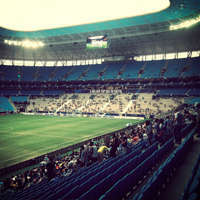 It was bad enough for operator to be fined for Mineirão's first game after redevelopment. But on the other hand the game itself was a memorable moment with capacity crowd and hot atmosphere. 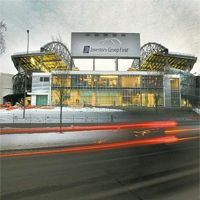 Before football and music fans come here in June, Christians will gather at Investors Group Field in May. Their event will be a test at the same time, as organizers hope for a massive turnout. Report by Winnipeg Free Press. 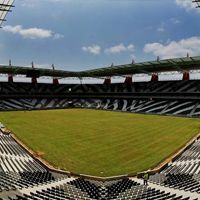 “Disgraceful” is one of many words used to describe the pitch of Mbombela Stadium in Nelspruit. Still, organizers decided not to move fixtures somewhere else. 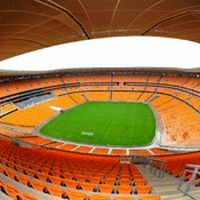 Meanwhile in Port Elizabeth very few people bothered to come to games, leaving vast majority of seats empty. 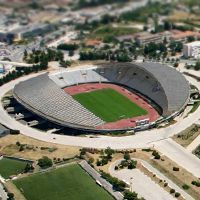 Due to poor financial condition one of Croatia’s most famous clubs is forced to hire prisoners to clean the stadium after games – Mondo.re reports. 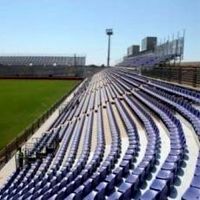 Both clubs already increased the number of seats in recent months, but in both cases it’s still not enough. 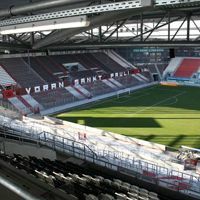 Extra seats will be added between existing stands and the pitch. 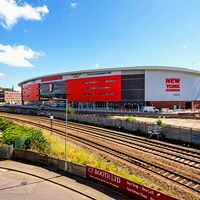 01.02.2013 England: New York Stadium unfriendly to disabled supporters? 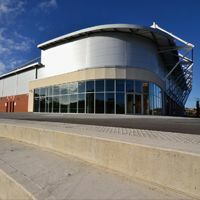 It’s worse than its 100-year-old predecessor, claims a Rotherham United fan, who has been going to games for the last 20 years. Providing a facility that could hold disabled fans before games is, however, ‘not practical’ for United. South Yorkshire Times report. 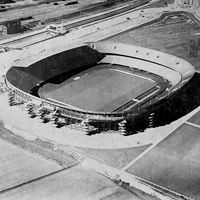 01.02.2013 Rotterdam: De Kuip to become a monument? 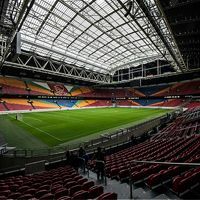 If Feyenoord succeed and build their desired new stadium across the street, what should happen to the current venue, 75-year-old De Kuip? Architectural historians say it would make a great national monument. Rijnmond.nl report.